Looking to learn how to Sail in Kent? How about the idyllic setting of Bewl Water. 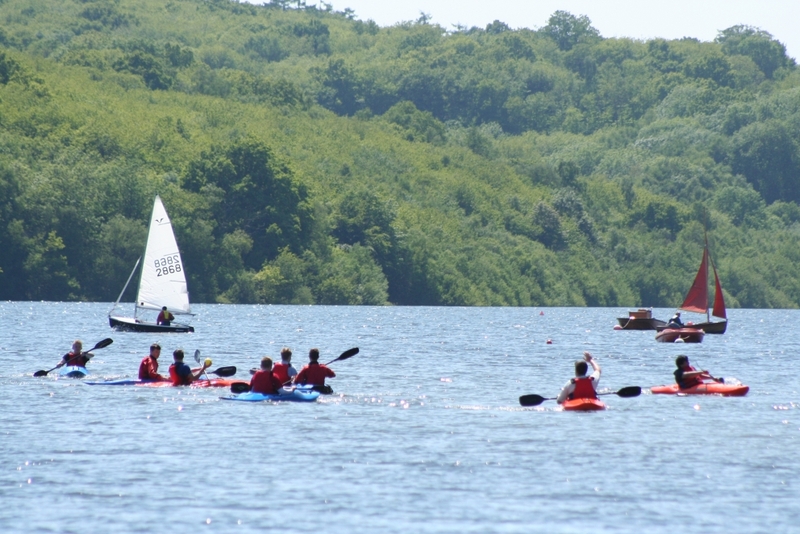 Our RYA approved centre set on the banks of Bewl Water is the ideal location to learn to sail in Kent. Take a look at our courses below. On completion of this course, the successful sailor will be safety conscious, have a basic knowledge of sailing and be capable of sailing without an instructor on board in light winds. Assessment is on a continual basis. During the course a capsize recovery will be conducted in a controlled manner, with a rescue craft in attendance. This course should take you from being a complete beginner to the standard of RYA Basic Skills, covering the syllabus of RYA Level 1 Start Sailing and Level 2 Basic Skills. This Improver course seeks to bridge the gap between Level 2 and the advanced modules and should make the transition easier. You will get the opportunity to practice and consolidate your technique. You will also get a taste of what some of the advanced modules have to offer. Following straight on from the RYA Level 2 Basic Skills course, you will learn practical sailing techniques such as anchoring, reefing, man overboard recovery, launching and landing. This course will take the form of a number of practical workshops looking at boat preparation, land drills and using both conventional and asymmetric spinnakers. Relevant theory will include ‘apparent wind’ and rig set-up. This is for those sailors who have RYA Level 2 or sail at a similar standard. 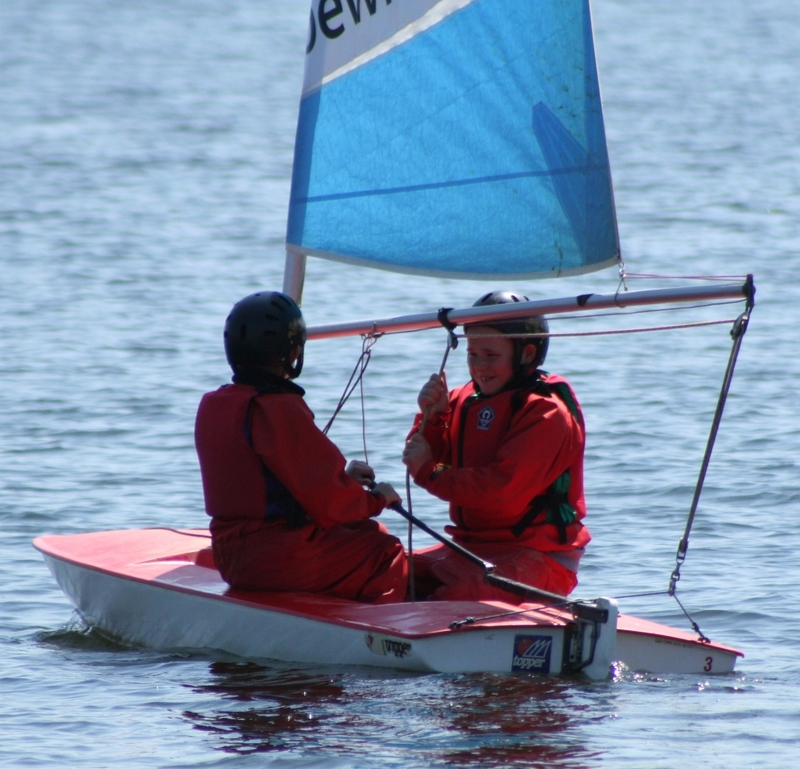 The aim of this course is to develop your dinghy sailing skills in order to sail more effectively. To benefit from this course you will have already mastered the skills of Stage 4 or Level 2. The aim of this course is to give a solid introduction to dinghy racing at club level to those who are already competent sailors. This five day course is essentially practical sessions afloat, backed up by lectures and demonstrations ashore. Please note this course requires a minimum of 4 people to run. In order to be accepted for training at Instructor level, all candidates must pass a practical test conducted by an RYA Coach / Examiner. The test serves as a filter, as there is no time on the instructor training course for candidates to be taught how to sail at the required standard. For further details see RYA publication G14 (www.bewlwater.org/ pre-assessment). Please note this course requires a minimum of 4 people to run. The aim of this intensive five day instructor training course, run by an RYA Coach/Examiner, is to provide you with the skills and techniques required to teach students how to sail. There are a number of prerequisites, see RYA publication G14. Please note this course requires a minimum of 4 people to run. The RYA Young Sailors Scheme encourages young people to learn to sail in stages, within a sound framework of safety and tuition. No time limits are given for the different stages, as children learn at very different rates, according to their age and enthusiasm. Nobody can fail – some may need a little more time and experience. Certificates are not awarded simply for attending a course. Our aims are to ensure they will have had a lot of fun, learnt a great deal and want to continue sailing in the future. By the end of this introductory two-day course you should be able to: launch a dinghy and get under way; steer and turn a dinghy when sailing; tie a figure of eight knot; be confident in the water wearing personal buoyancy. This three-day course follows on from Stage 1 and will continue to develop your sailing skills along the RYA syllabus as found in Young Sailors Logbook G11. RYA Stage 1 or other suitable experience. This five-day course will cover Stages 3 & 4, as appropriate to each individual. By the end we hope to have everyone confidently sailing a dinghy in light wind conditions. It is unlikely that Stage 3 & 4 will be achievable in one week. If your aim is to get both certificates, repeating this course would be the way forward. NB. This course is more demanding than previous Stages, and is suitable for those who are at least 11 years old and have stage 2 or similar experience.